The music in the Mass Effect trilogy backs some of the most epic, poignant, and beautiful moments in recent gaming memory. Anyone whose played it will not soon forget the soaring strings and strident trumpets which helped make each game's conclusion so powerful. But that's not what I want to talk about. I want to talk about a three-measure, ten-second-long cue. 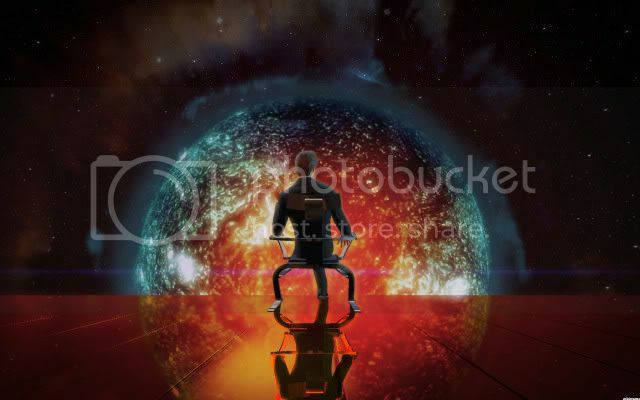 The "Mission Complete" screen in Mass Effect 2 received a certain amount of criticism for being immersion breaking and too "gamey." 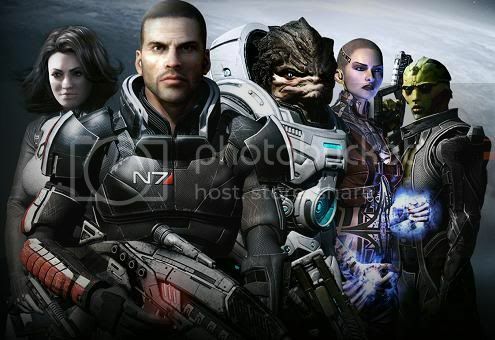 Seen in a certain light, it is emblematic of all of the ways Mass Effect 2 was "dumbed down," pushed more towards a third-person shooter for a larger audience rather than the deep RPG many fans and critics might have wanted it to be. And that may all be true, but I love the "Mission Complete" screen and the music that goes with it. The thing is, none of those criticisms are actually criticisms of the screen itself — just its place in the game or what it represents. But for what it is and what it's supposed to be, the "Mission Complete" screen is excellent. It conveys all the relevant information clearly and concisely. And although it certainly is not immersive (in the same way that walking yourself back to the Normandy is immersive), to my mind it doesn't do a bad job. The background of the Illusive Man and his commentary on the mission act as a kind of narrative shorthand. Just as the "Mission Complete" screen is a summary of the previous mission, the screen itself is a summary of the narrative of the debriefing. But really it's the music which makes the "Mission Complete" screen truly effective, and the answer can be boiled down to one word: scale. That is to say, everything about it is scaled perfectly. It's short, but just long enough to establish and deliver an effective cadence (musical resolution). The orchestration is broad and lush, but not overly so (horns and strings, but no trumpets or cymbals). Everything about it hits a sweet spot where it manages to be big, exciting, and conclusive without being overdone or overpowering. And this is perhaps the most important thing: the cue doesn't misguidedly aim for epic all by itself. Rather, it remains dependent on the context, the experience of the mission behind it. This avoids a common problem in both games and movies: being "over-soundtracked," when a designer or director uses music as a club to beat the viewer over the head with while shouting, "This is epic!" or "This is poignant!" By scaling the music here so well, the composer avoids this problem. The "Mission Complete" feels just as it ought; players' emotions are aided and embellished, not overwhelmed, by the music. But just as the music doesn't forget the context of what preceded, it adds its own context, and this is perhaps the most effective part of the "Mission Complete" screen. The first time the player sees the screen and hears the music, it may not add a whole lot. But as the player continues and completes his second, third, and fourth missions, the music begins to resonate. As soon as you understand that that musical cue accompanies every "Mission Complete," then hearing it adds a whole layer of emotion. It brings you back to every previous mission and also orients you forwards to the missions to come. And it is partly the scale of the cue, resting right in that sweet spot, which allows it to do this so effectively. And this contextualizing work doesn't only happen with this one particular cue (although I think it is a sterling and pointed example). It's one of the roles played by all soundtrack music. Just as the soundtrack music plays in the background, it opens up our awareness to a subtler level of associations and resonances, and it is this constellation which helps make a game powerful.